My hubby’s aunt goes to a local knit and natter, which happens once a month. I love these groups, they are so much fun! My little man comes with me and he loves it as well (lot’s of ladies who think he’s really sweet, I mean it’s not hard to see why he enjoys it!). Anyway this months, was particularly lovely as firstly it was the first time I’d been able to make it for a few months and secondly, they were having a huge clear out. Now I’m a sucker for old craft stuff and I was very lucky to come away with a big bag of wool, a vintage Jumper pattern as well as two vintage sewing books (I say vintage, I’m being polite!). All the stuff was going to be thrown out! I couldn’t believe my luck! Would you like to see them? (ok that’s not really a fair question, I’m going to show them to you anyway!). So here’s the Jumper Pattern. They were going through them and putting all their patterns into a ‘keep’ pile and a ‘throw out’ pile and when I saw this one going towards the ‘throw out’ pile, I had to ask if I could take it! I want it in adult size! 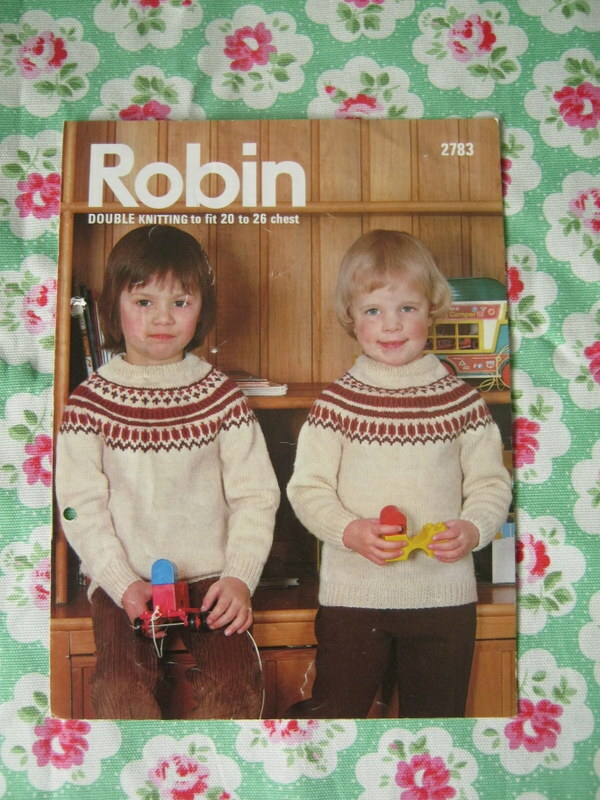 I am going to have to knit it for little man while he is still young enough for me to choose what he wears! This is one of the books. 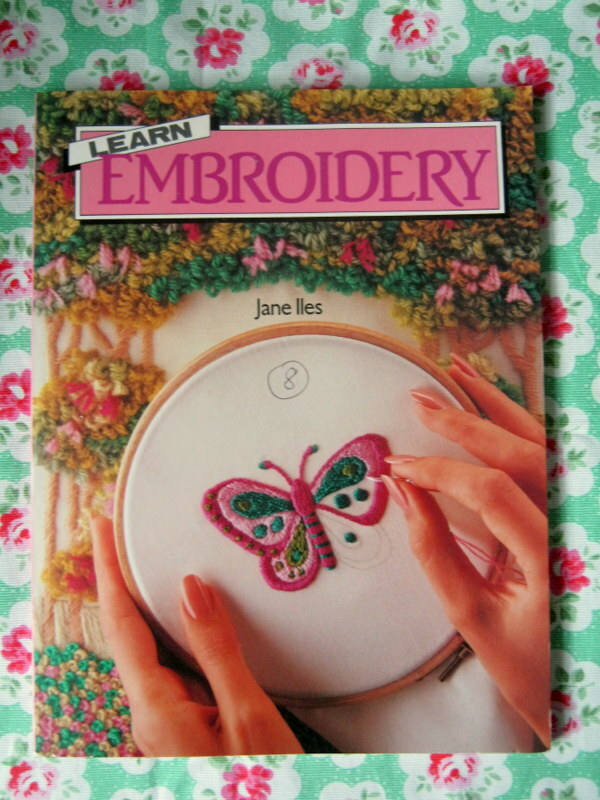 Now I’ve talked about learning to embroider on this blog before and how much I love it. I think it’s the freedom to create whatever you want just with a needle and thread (I don’t have the patience for cross-stitch as half way through I want to go off on my own thing!). However, I am still very much a novice and my work often looks amateurish and a bit messy. What I liked about this book was that it walked you through different techniques with a couple of projects for each one. Now I know, most modern books do that too, however, I am very much a picture person rather than a words person and these diagrams are really clear and simple! This Horse made me laugh so much! I don’t know why but it reminded me of Toy Story 2. 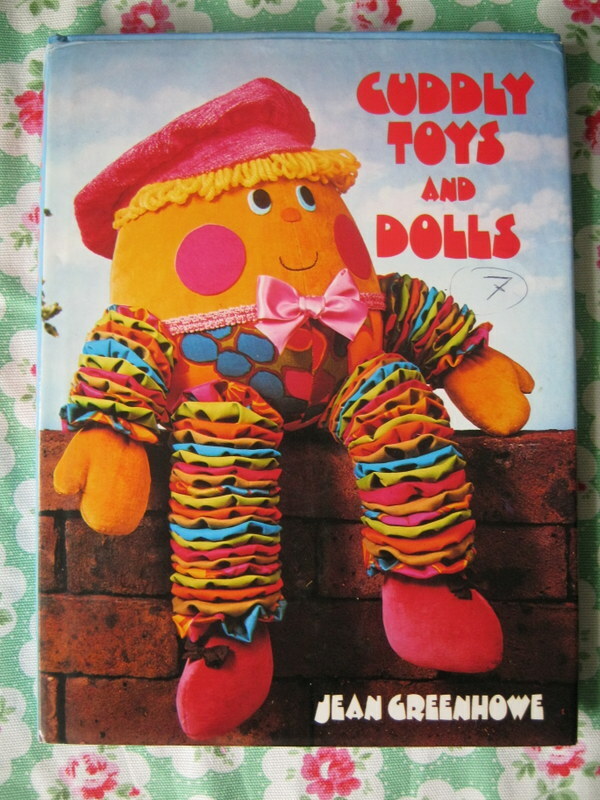 I think what I liked most when I flicked through this book was the simple, slightly old fashioned, but classic toy patterns. They are in many ways timeless, as I know if I made this horse for Little Man, he’d love playing with it. 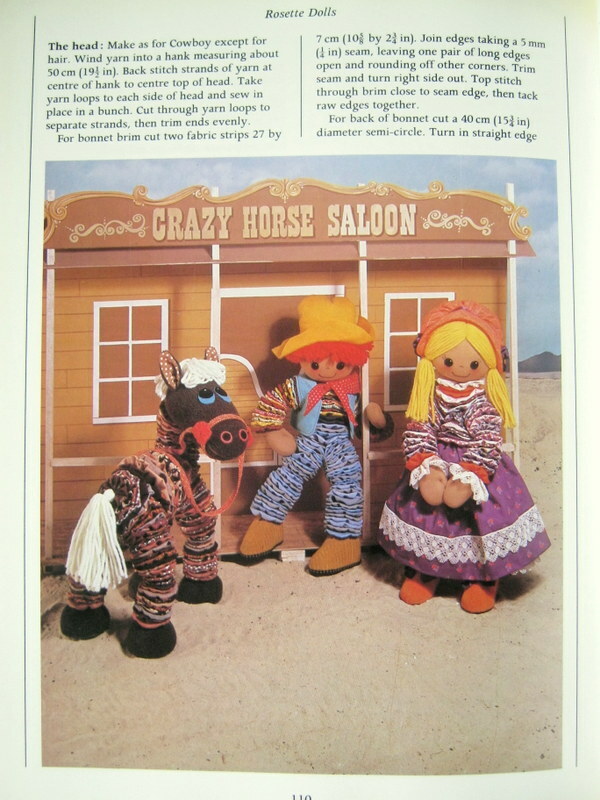 It also had (I should really say, ‘has’) a couple of basic rag doll patterns but what I especially like is that they have about 5 different outfit patterns for each doll. 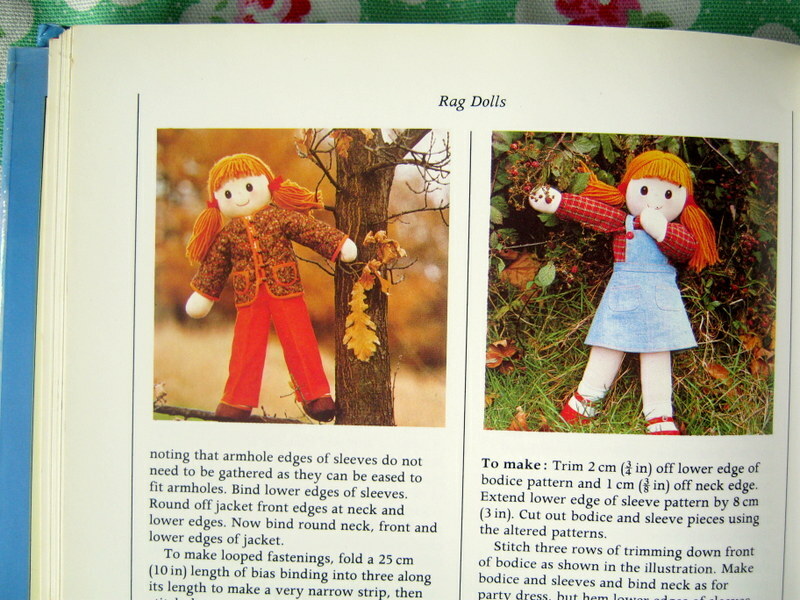 I have a couple of great craft books that are a lot more up to date, but they have all got either one outfit that comes with the doll (because they want you to buy separate patterns or their other book); or a couple of patterns for the clothes without a pattern for the doll. I’m sure there are lots of great modern books that have both but when I saw this one (and it was free), I snapped it up! 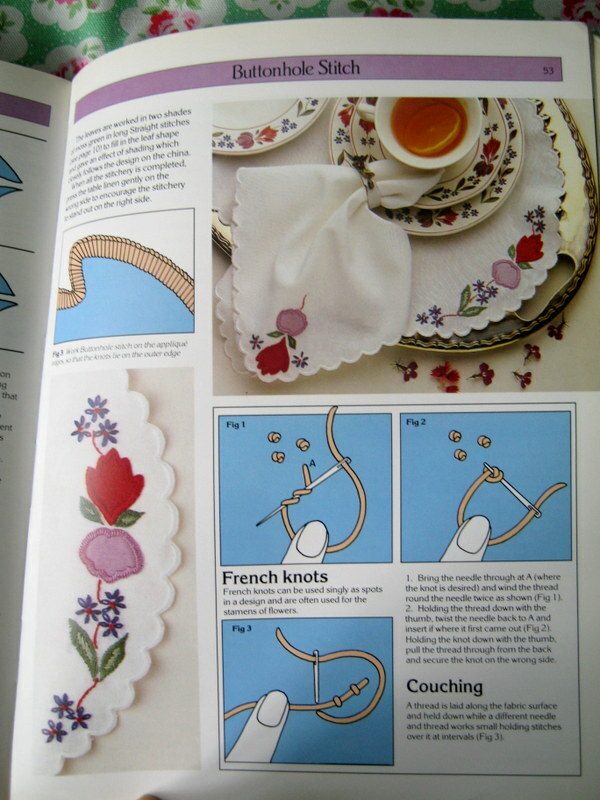 I can’t wait to start sewing!